The parts for the hull are cut precisely with laser from blasted and primed shipbuilding steel and painted after the assembly with further protective coatings, in order to ensure an optimal corrosion protection. 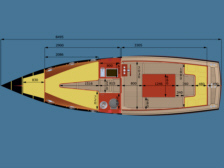 It can be delivered with built-in rudder, shaft and a keel cooling. The weight of the hull without equipment and engine: approx. 1400kg. 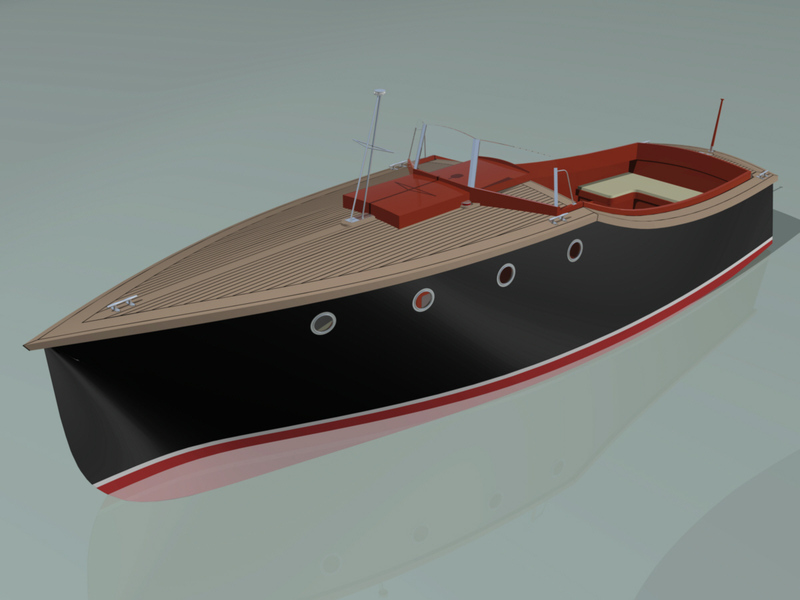 The hull is available for EUR 16,500, depending on steel prices. 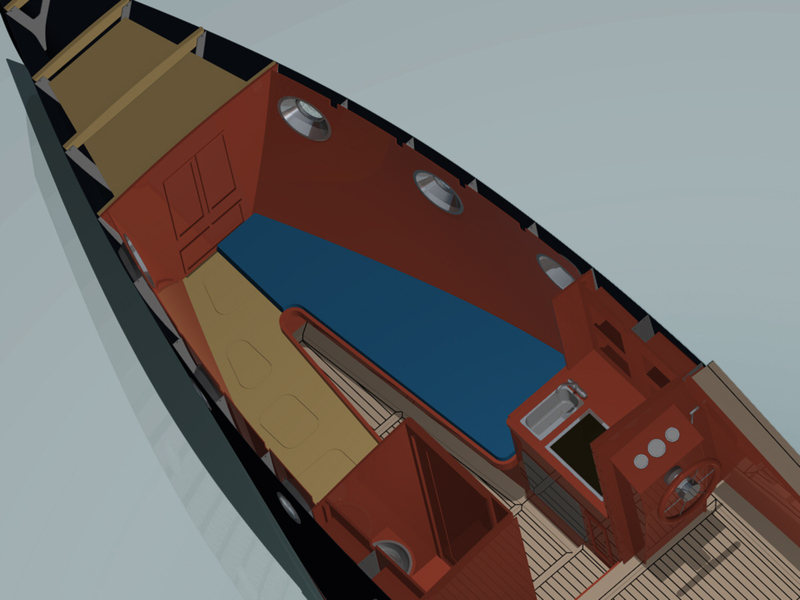 In the pictures you see, how your motoryacht could look after the assembly of interior and deck. You can finish the interior as well as the installation of the engine by yourself or order this partial or completely from us according to your desires. In contrast to the Hull the deck is made from wood. 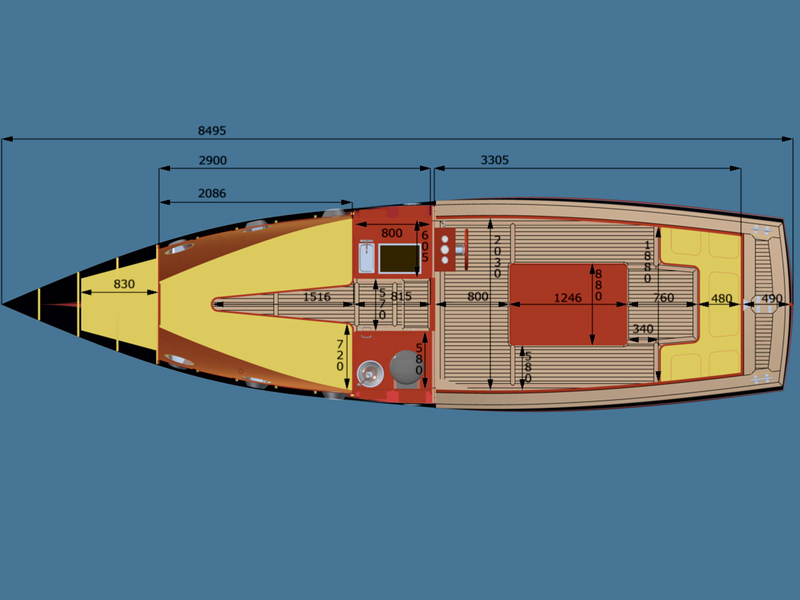 Due to the lower weight of wood the weight of the whole boat gets lower and the weight center gets deeper. It consists of deck beams made of wooden stripes glued in shape of the deck, covered with plywood and and deck strips made from Teak or Oregon Pine. The interior is like the whole boat graceful designed, practical and kept simple, and can be made from the traditional Mahogany or other wood. The floor panels can be covered with Teak or be clear-painted. The engine box in the cockpit is used as a table, laterally and behind are benches, on which you can sit comfortably. The wide opening sliding hatch permits a comfortable entrance into the foredeck with a headroom of over 1,7m between floor and deck beam. At the side behind the bulkhead is the toilet and on the other side a pantry. The bunks follow forward. Under the removable bunk covers there is lot of space for stow-away something, in addition there is a large cabinet before the front bulkhead. Above the bunks the outer-skin of the hull is covered with wooden strips. 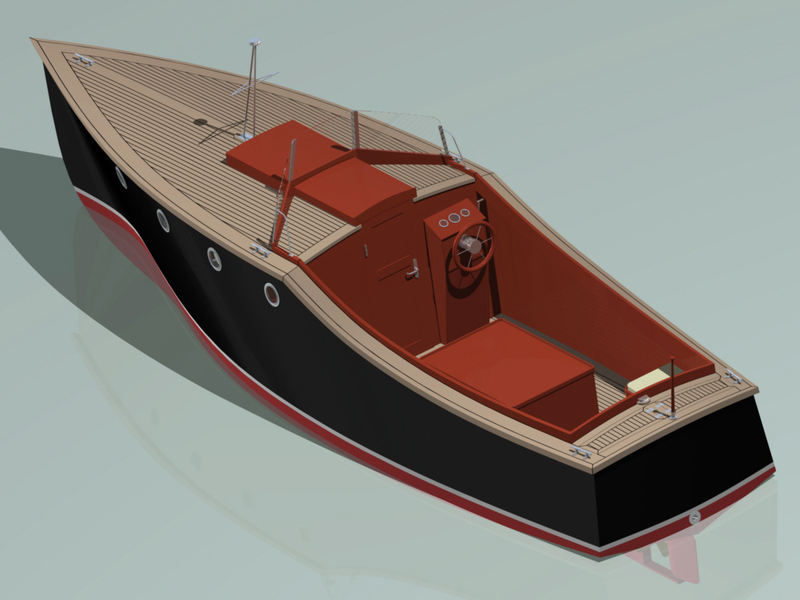 This Motoryacht is intended for the installation of a diesel engine with an output of 30-60 KW.